It’s Friday the 13th and it seems only fitting we’d hear some bad news traveling through the wire. We were hoping it wouldn’t come to this, but struggling smartphone maker HTC announced today that they’ve begun laying off some of their US-based workforce. Nothing of Motorola-level proportions mind you, but out of 150 employees and contractors, about 30 of them were let go — that’s about 20% of ex-HTC workers suddenly out of a job. 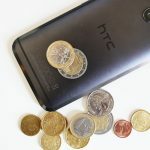 It’s not all bad news, HTC says the move was just as much a cost cutting measure, as it was a “decisive action” to help them streamline their operations. 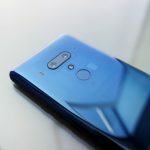 Less cooks in the kitchen means HTC can greater “improve decision making” and while it sounds like press release fluff, there could be some truth behind it. 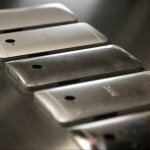 Don’t forget it was only a few months back we saw the abrupt exit of several “high level” HTC execs. This latest development doesn’t bode well for HTC who seems to be facing unexpectedly low sales numbers of their latest flagship device — the HTC One — despite being well reviewed around the tech blogs. HTC also dropped a boat load of money on an expensive new ad campaign featuring Robert Downey Jr. to help fuel brand recognition. Without money coming in, cost cutting measures were expected. As for the employees that received the bad news today, HTC says they’ll be working with them to ensure they have the resources they need to help “bridge them to their next opportunity”. No matter your Android vendor affiliation, it’s never fun to read news like this. We, at Phandroid, wish these employees the best of luck and hope this isn’t the beginning of future bad news for HTC and their employees.